A week before Christmas of 1994, three cave explorers named Jean, Christian, and Eliette went climbing into a mountain in southern France. They didn’t know it yet, but they were about to change the world. You’ve probably seen it.Their discovery is so important, and it’s become so famous, that it’s actually named after one of them: Jean-Marie Chauvet. There’s even a 90-minute documentary released about 10 years ago, by a German filmmaker named Werner Herzog, called Cave of Forgotten Dreams. So far, it’s earned about $5.3 million. You can watch it on Netflix right now. Even the documentary is famous. 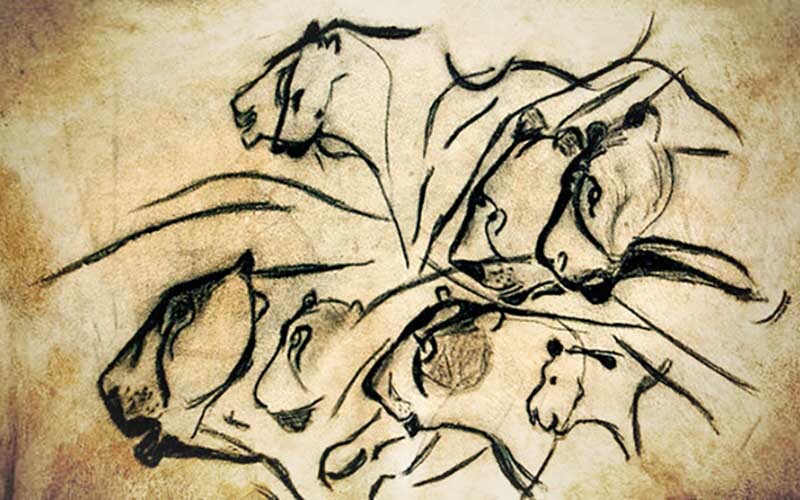 Chauvet Cave contains the oldest cave paintings ever found. Horses, cattle, mammoths, lions, panthers, bears, hyenas, and even rhinoceroses. And they’re more than 30,000 years old. The Chauvet works are potentially greatest example of early human symbolism that will ever be discovered, anywhere on Earth. Because I wanted you to read this. And because it’s my job. There’s a reason why Disney started so many of their stories with “once upon a time…” The setup immediately draws you in, and your brain starts filling in the details for you. 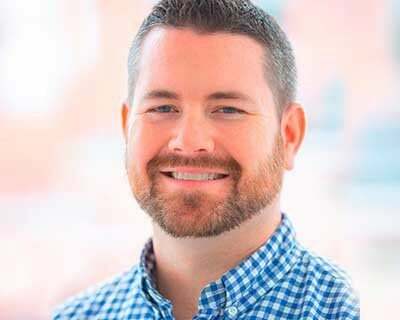 This blog post is supposed to be about me: my name is TJ, and I run the Digital Marketing team here at 3 Media Web. But if I wrote a post that sounded like a biography, no one would read it. 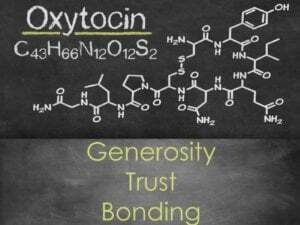 Instead, I hacked your brain chemistry with a plot. I’m using characters, intrigue, and a narrative to keep your brain engaged. My job is to make sure that our clients’ messages are reaching and resonating with the right people. Reaching is easy. 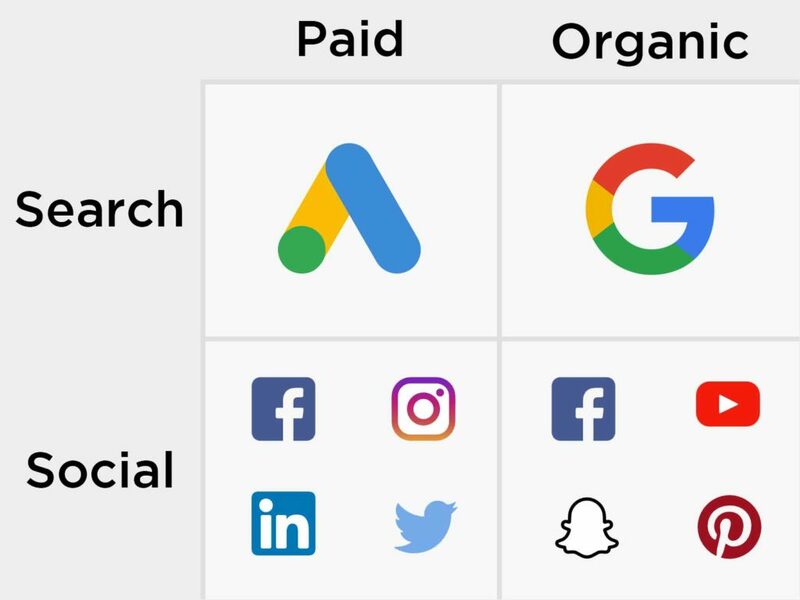 Facebook, Google, and LinkedIn make that a snap. I’ll tell you in a minute, but first I have to get back to the cave. I know, it seems like it’s off-topic, but I promise it’s not. Stick with me here. It’s about those cave paintings. Cave paintings are a modern invention. Cave paintings and etchings represent humanity’s first attempt to convey information in a visual medium. Never before had people immortalized ideas. Their significance can’t be overstated. Without cave paintings, we could never have made the leap to the written word and all the knowledge and learning that came from it. But 30,000 years is nothing. Humans have been on Earth for nearly 300,000 years. And for 90% of that time, we couldn’t read, write, or draw. So how did parents teach their children? How did the wise counsel the immature? How was anybody supposed to know to avoid the red berries and only eat the blue ones? Humans spent thousands of generations evolving and adapting to verbal, narrative communication. Storytelling is a form of mind control. 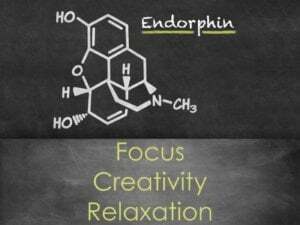 It’s all about brain chemistry. 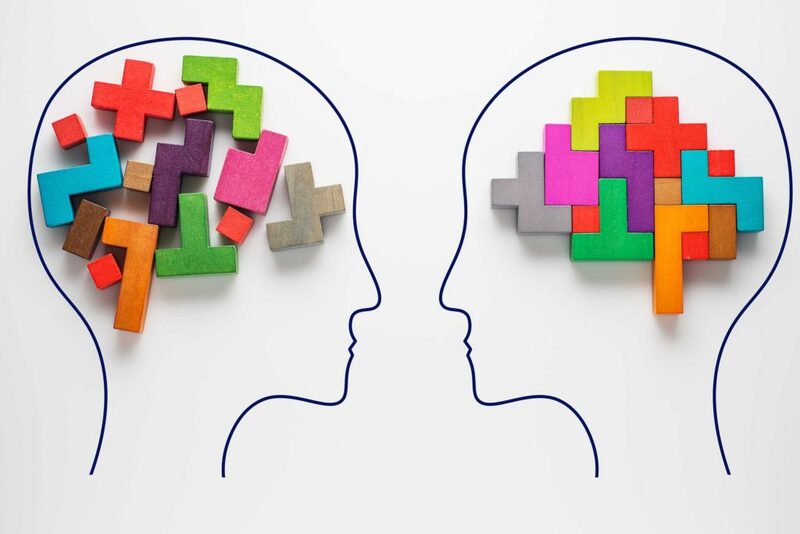 This is how our brains are evolved to think, remember, and use new information. Digital marketing campaigns have to drive leads or customers. All the ranks, impressions, CTR, and ROAS data in the world are meaningless if they don’t work — if they don’t make people do something. 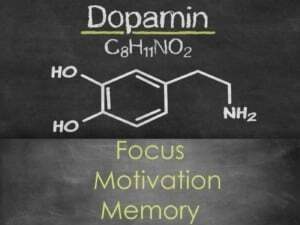 That’s where brain chemistry comes in. In all major areas of digital marketing—SEO, PPC, SMM and social ads—a good story will grab and hold your audience’s attention better than a direct sell. That’s the bulk of my job as Digital Marketing Strategist here at 3 Media Web. My team and I find ways to make our clients’ outreach and promotion efforts as effective as possible—and most of the time that means we have to help them craft a story. 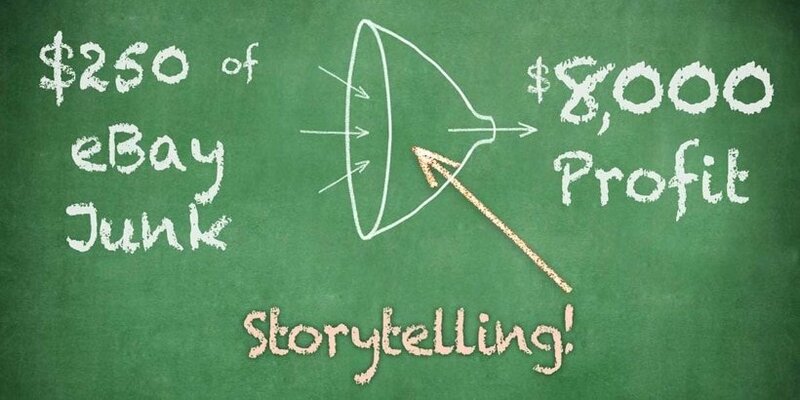 What do stories look like in Digital Marketing? Despite the ubiquity of this feature nowadays, that’s not what I’m talking about. An account of incidents or events, an anecdote (especially an amusing one), or the intrigue/plot of a narrative or dramatic work. So what does a story look like in the 4 major sectors of digital marketing? There are more than just these choices, obviously. But these are some of the big ones. 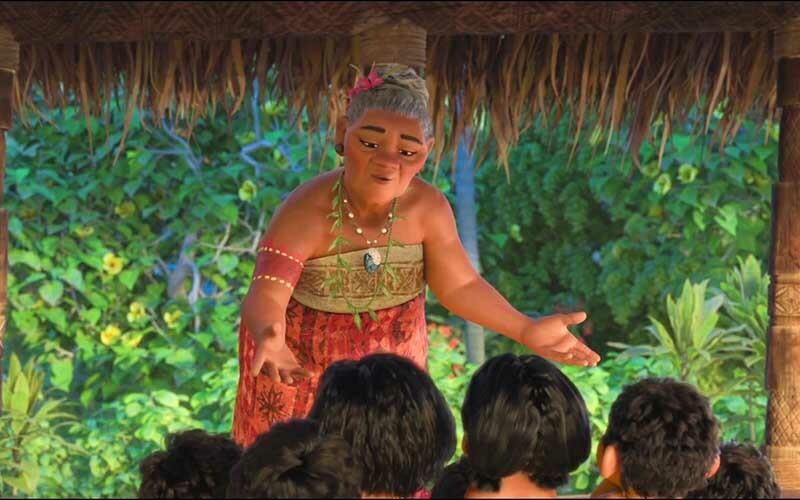 You have to consider your audience and the type of story that might resonate best with them. A major—and often overlooked—part of that consideration is the channel they use to find you and/or your story, and the common User Experience conventions of that channel. This is almost exclusively Google Ads (formerly Adwords). How do you tell a story in limited screen real estate and competitive bid market of PPC ads? Creatively. And think like Twitter. BuzzFeed + Buzzsumo = 3X Ad CTR, via WordStream. Keep it short and sweet, but make sure you have a hook. The headline is crucial, but most times a DKI or bland “Best Product Ever Start Today!” won’t stand out. This one is fairly easy, but it requires a shift in the way many people view search traffic. 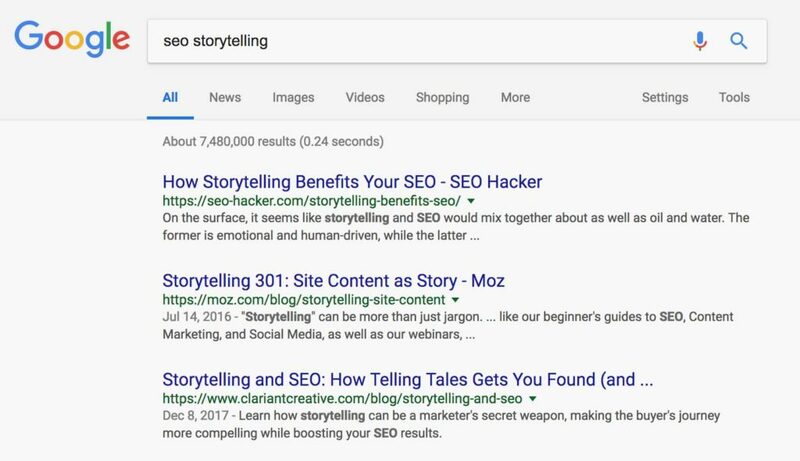 Inbound Marketing and Content Marketing often include the principles of storytelling, but ecommerce and/or purchase intent SEO rarely does. Joshua Glenn, a writer and analyst, teamed up with journalist Rob Walker to study storytelling and its effects on—of all things—eBay knickknacks. They bought 200 objects for about $1.25 each. They then wrote stories about each object, and re-listed the objects. That’s a 3,200% increase in dollars-and-cents material value by changing nothing other than a story to attach some meaning to each knickknack. 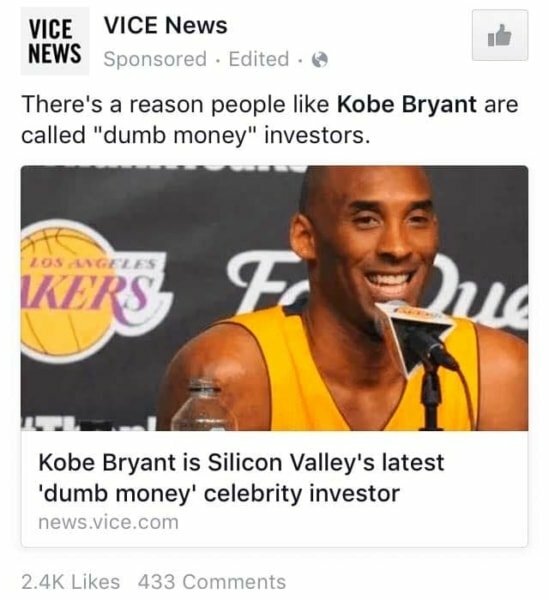 Storytelling in Marketing: Vice Facebook Ads about Kobe Bryant. 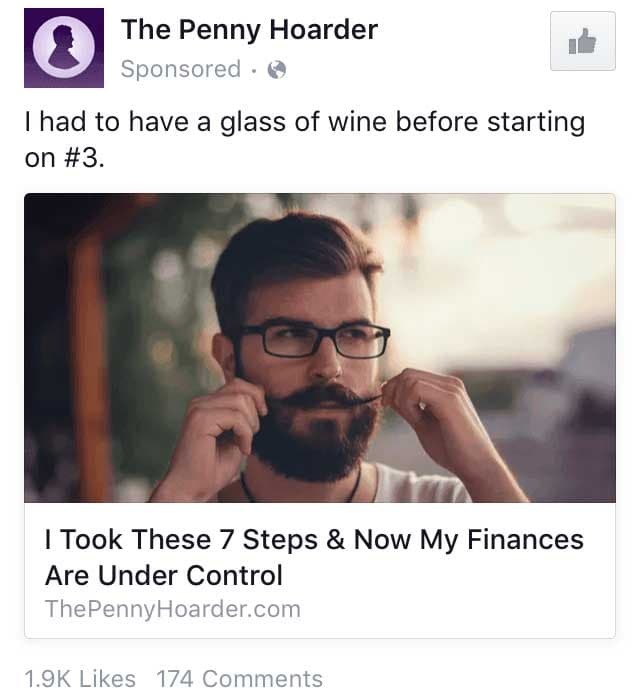 Storytelling in Marketing: Penny Hoarder Facebook Ads about Personal Finance. Source for both of those screenshots came from AdEspresso. Social media marketing is social. It doesn’t work if you try to treat it like PPC or search ads. 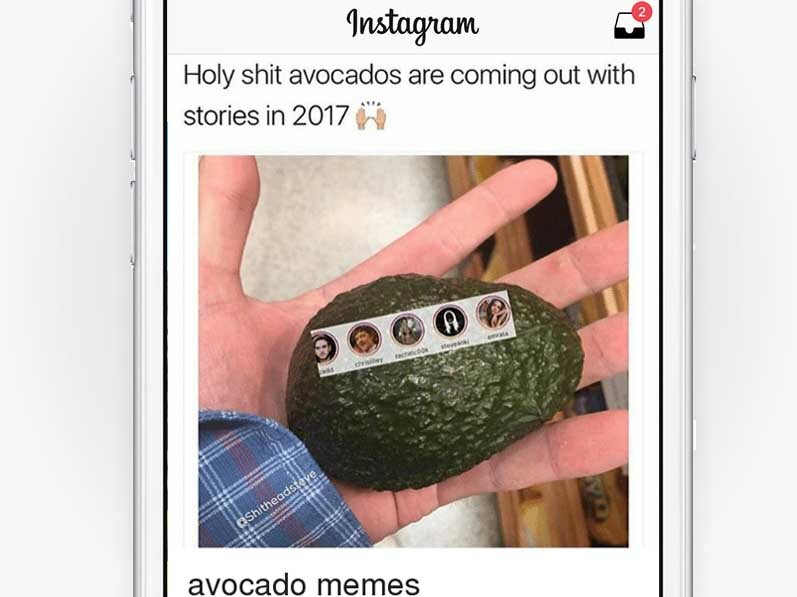 People are passively consuming social content. The ads that work will fit that model. Gary Vee wrote about this way back in 2013, and his words are only truer today, 5 years later. This slide is from Gary’s Storytelling in 2014 slide deck and presentation. This one tends to be a little easier. In most cases, storytelling fits fairly well into most people’s everyday use of social media platforms. 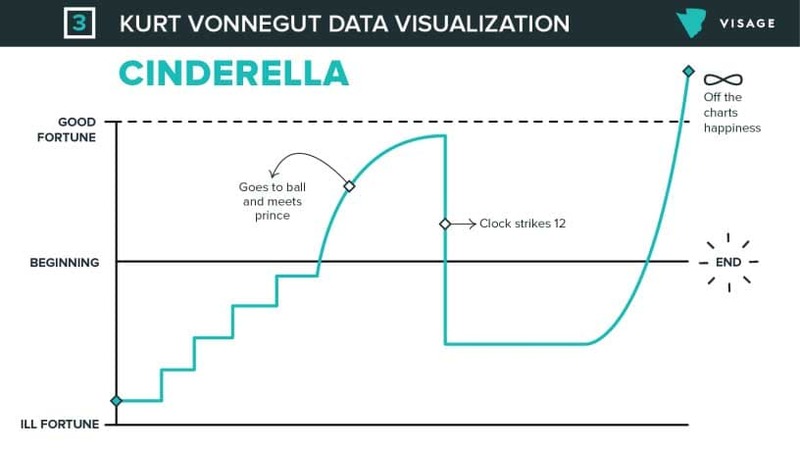 Cinderella Data Visualization, via Visage. See that giant dropoff? That’s how stories go from good to great. Conflict and triumph are the oldest archetypes in the book. Storytelling is overblown today bc most corporate stories lack the 1 element that makes a story: conflict. Actual stories present a status quo, CONFLICT, then a resolution. Want to be a storyteller? Get good at building suspense, increasing the stakes, and using conflict. Period. Yes, this approach makes your job harder. But it also makes your marketing efforts much more effective. And isn’t that the goal? Too many marketers are willing to invest more money than time. That’s cool and all. 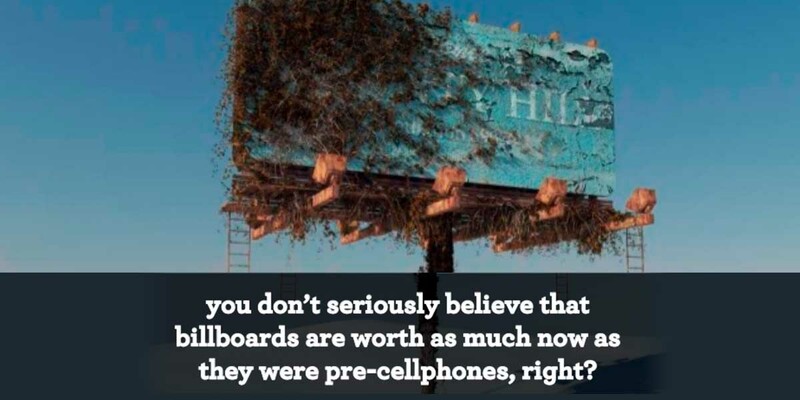 Good marketing requires investment. But stop looking for shortcuts. Do the work, spend the time, and make your product better. It’s not content. It’s narrative. But every marketer knows that pretty much no one actually reads the content. Give people a hero, a conflict, a struggle, and a triumph, and they will be eating out of your hands. I’m not a hero, but I did get you to read (most of?) a blog post that is technically about me. Storytelling is what I do. And it works. Get in touch to see how my team and I can put it work for you.